There is one décor trick that never feels to make a room feel bigger. 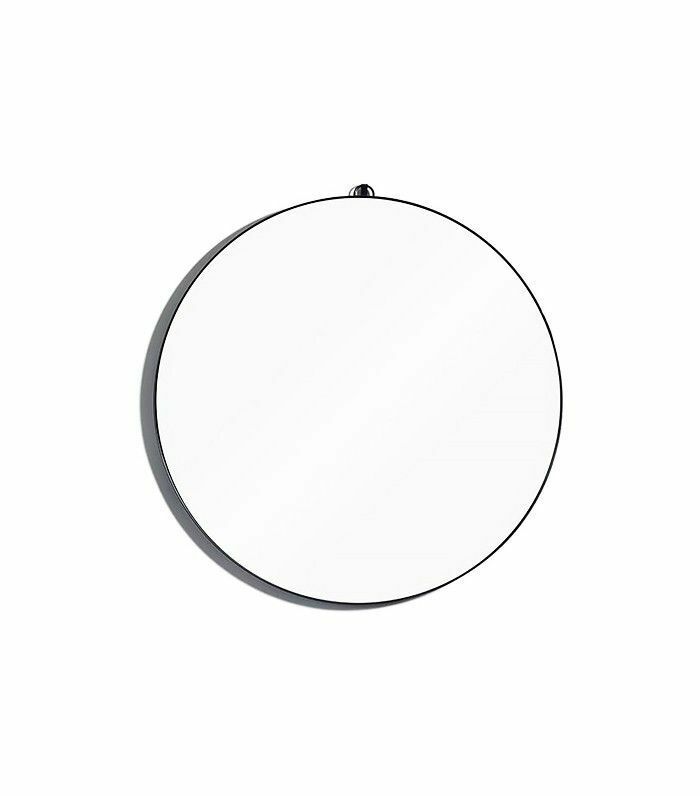 No matter how small or dark, it will transform any room into an airy and bright space: mirrors. 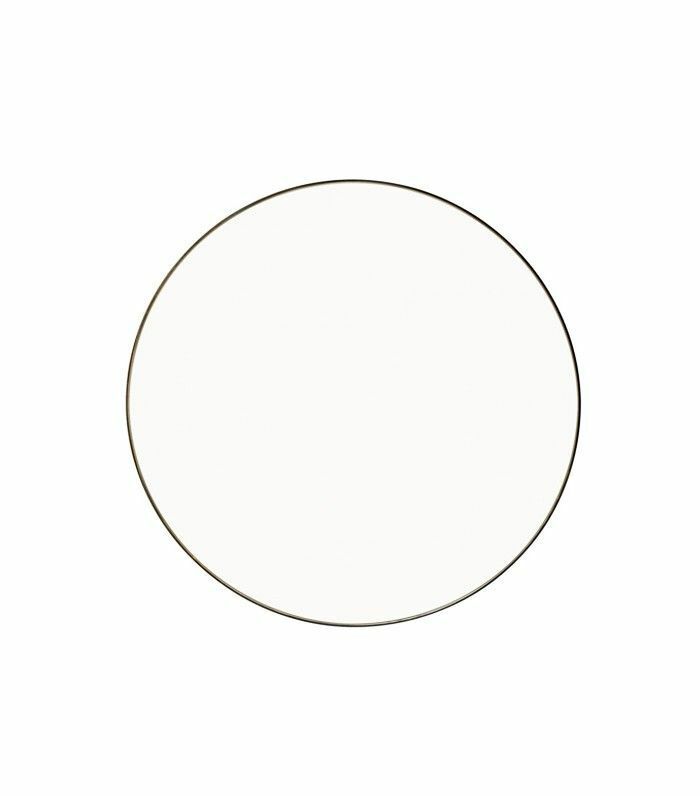 Specifically, large round mirrors. 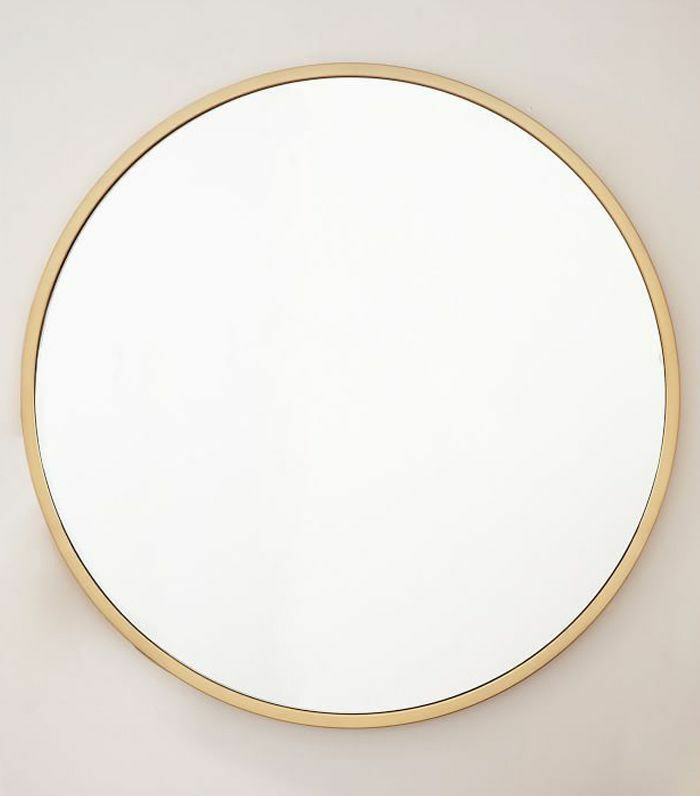 Yes, we’re having a round-mirror moment, and as far as we’re concerned, bigger is better. 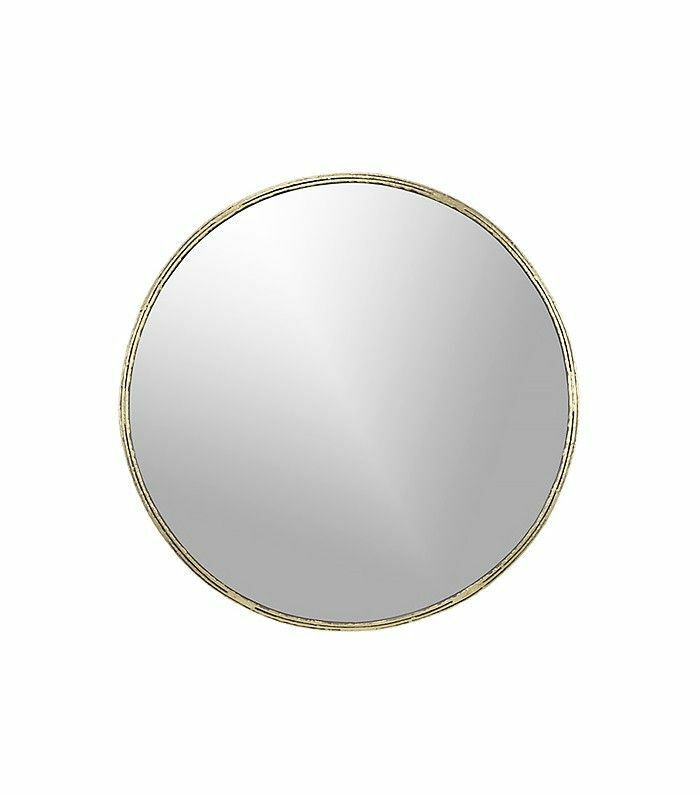 Large round mirrors can be a statement piece in every room in the house, adding a stunning chic factor to entryways, living rooms, bathrooms, and bedrooms alike. 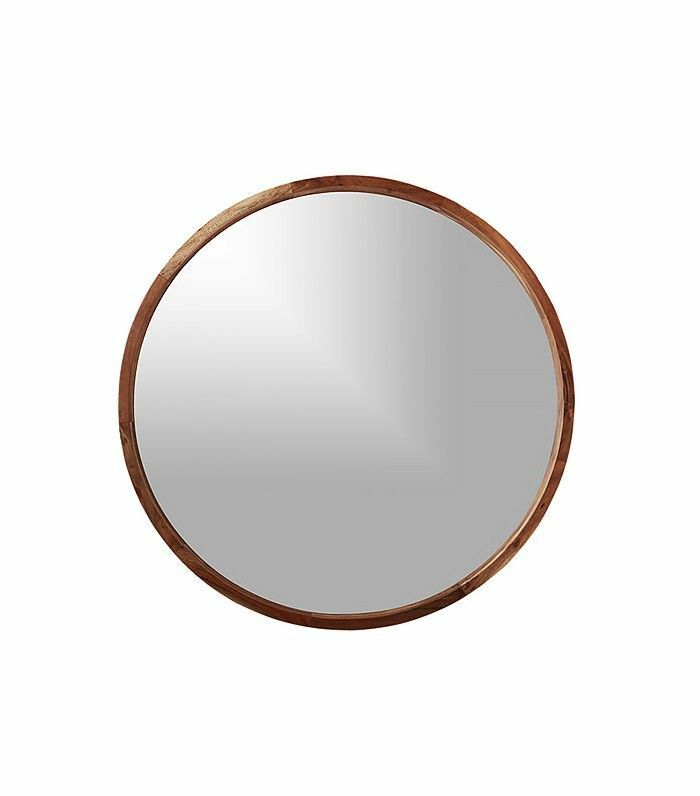 The circular shape takes the mirror from functional to decorative, with a host of frame options, from sleek and chic to vintage and brassy. Mirror, mirror on the wall, which of these 11 rooms is the grandest of them all? A large entryway mirror sets the tone for a chic, minimalistic home. 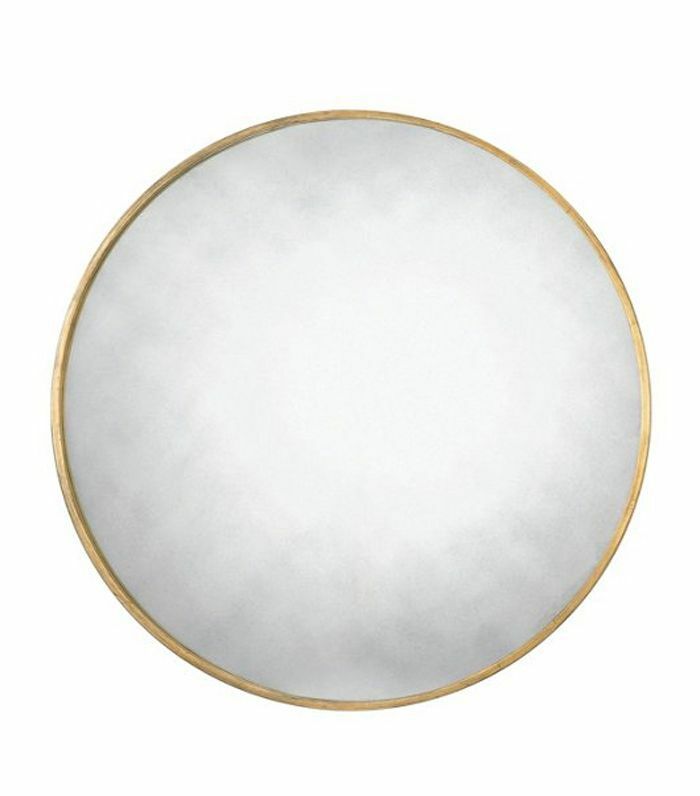 With a gorgeous gold border, this round mirror is love at first sight for guests as they arrive. It’s also never a bad idea to be able to check yourself out on your way out the door. A big mirror completes a bold bathroom design, building on the high contrast between black and white. A sharp vanity, vertical sconces, and geometric terrariums are rounded out by the perfect circle on the wall. In this living room, a large round mirror proves that size does indeed matter: The large scale of the mirror means it instantly doubles the size of the space with its reflection. The round shape holds its own among diverse, well-balanced design elements throughout the room, including a sculptural chair, a minimal marble table, and a hot pink moment. 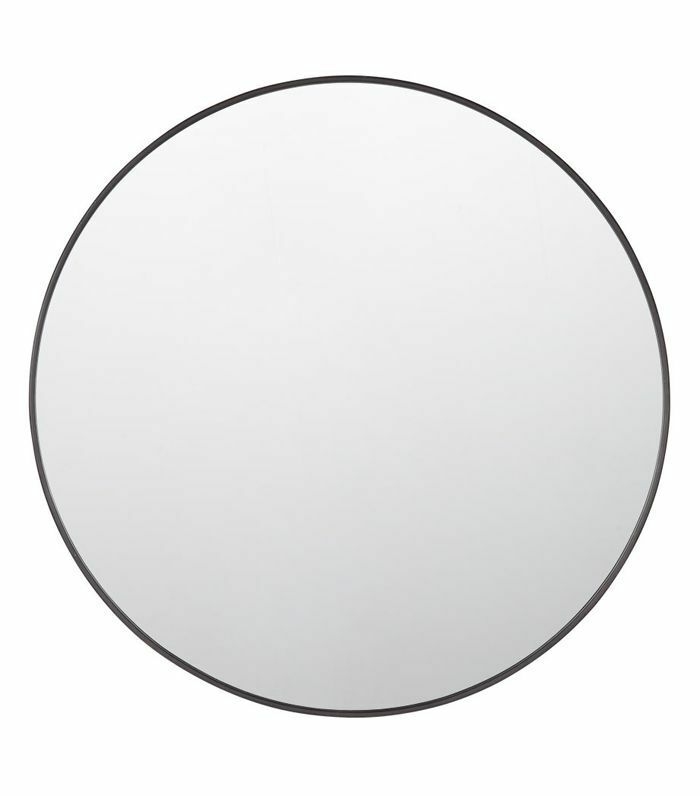 A round mirror is the perfect starting point to get your bedroom in shape. We love the way the colorful art is reflected in the mirror in this Manhattan bedroom by ASH NYC, creating a sharp, modern feel. 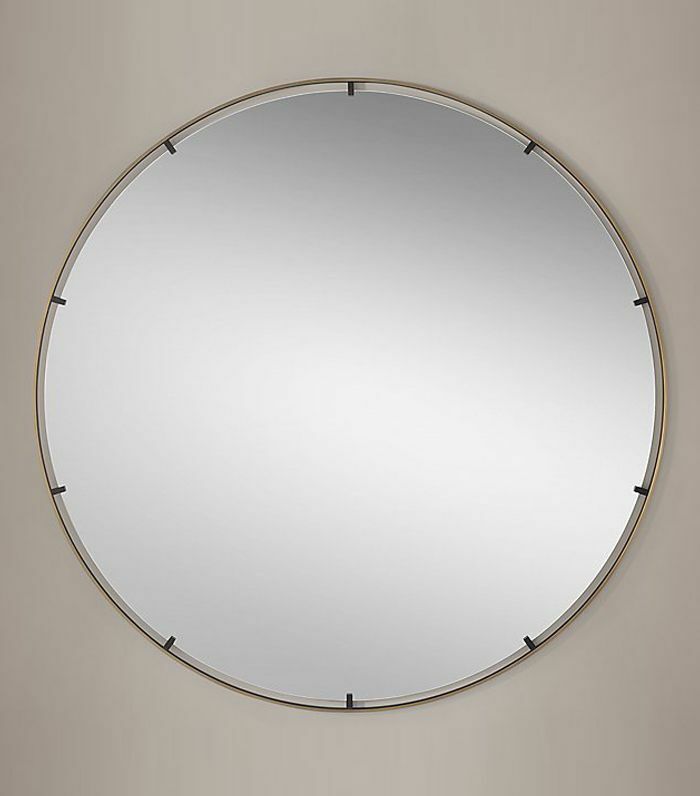 Use a large round mirror just a few inches above a dresser for maximum impact. We are suckers for camel sofas, brass accents, and warm wood finishes, so consider us head over heels for this happy, bright living room. 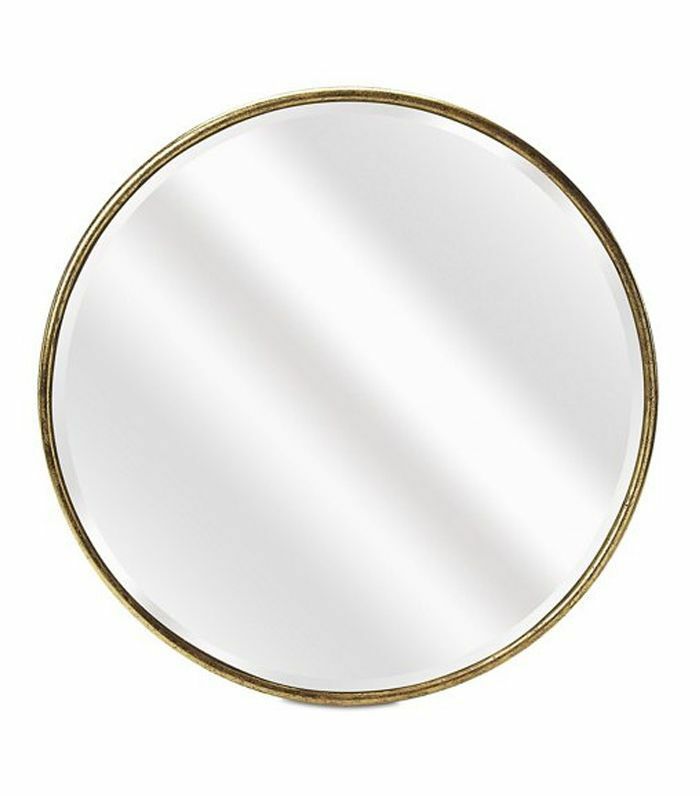 The brass-framed round mirror on the entry wall pops off the white walls for a scene-stealing burst of warmth and shine. Two giant mirrors are definitely better than one when it comes to this vintage-inspired bathroom vanity at London’s Chiltern Firehouse hotel. 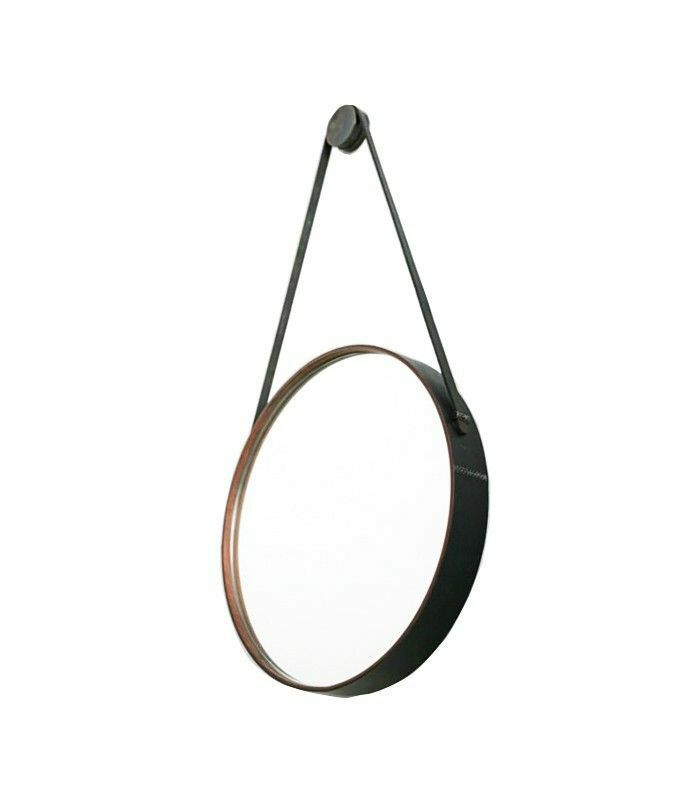 The big personality of vintage décor pairs excellently with the even bigger presence of these large round mirrors. A large hanging mirror gives this bathroom a well-rounded appeal, adding a casual, laid-back element to an otherwise minimalist space. A giant mirror makes a great complement to this master bedroom credenza. The lines of the sleek modern lighting and colorful floral arrangements captured in the round mirror’s reflection create stunning geometry. Our eyes are running circles around this bathroom thanks to graphic pattern floors and a large round mirror to match. Decorated with a mirrored dressing table and a black-and-white chair, who wouldn’t feel glamorous getting ready here? Set against an industrial backdrop, a round mirror softens the aesthetic of this minimal bathroom. We love the purposefully subtle play of the large-scale round mirror off the small round brass studs in the wall. This bathroom is positively chic thanks to the circular shape of the mirror framed by the diagonal lines created by bright modern lights. With a color palette in shades of cream, the space feels light, flirty, and fresh. 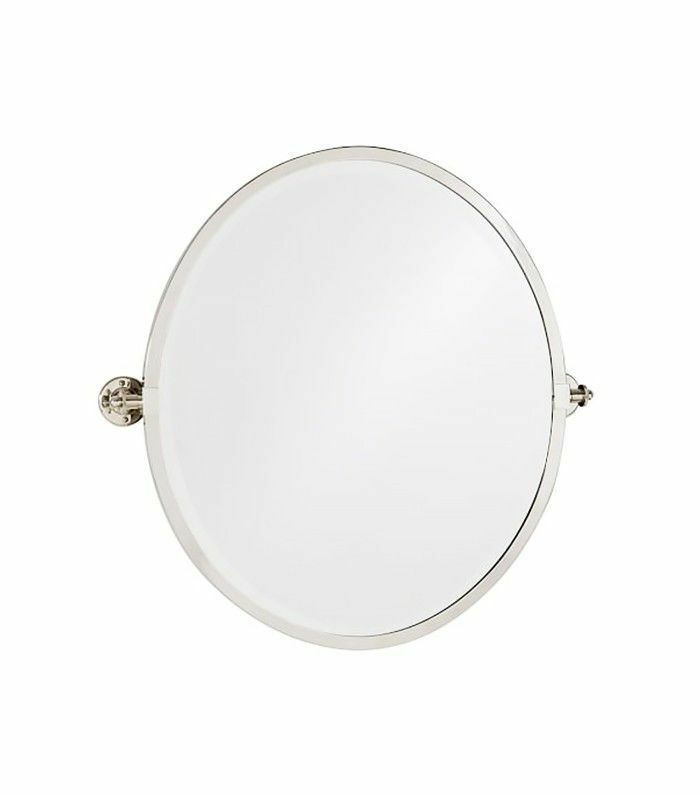 Next up: Without a doubt, these bathroom mirrors are the prettiest of them all. This story was originally published on April 15, 2016, and has since been updated.